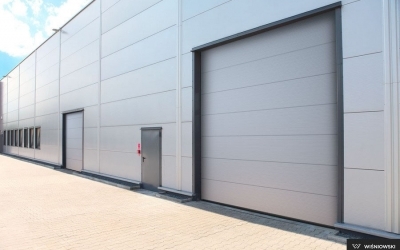 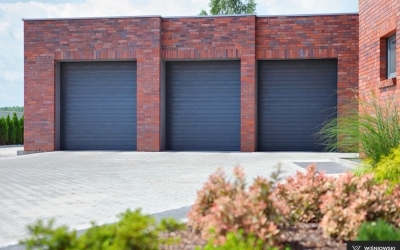 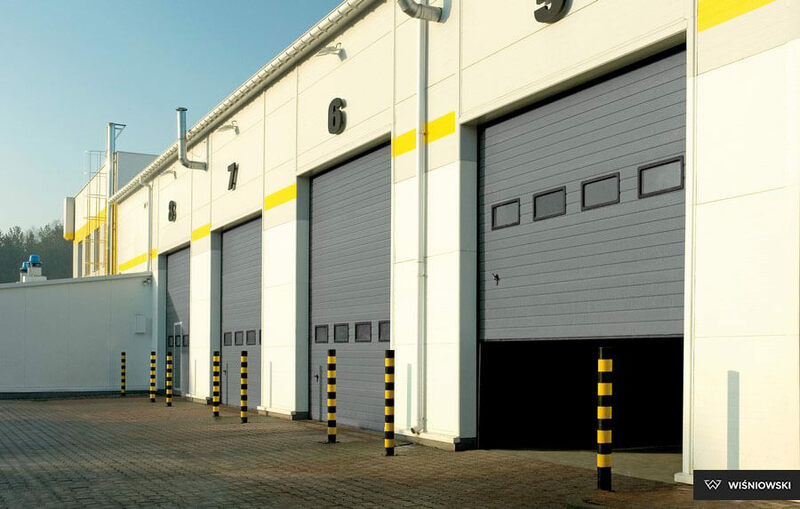 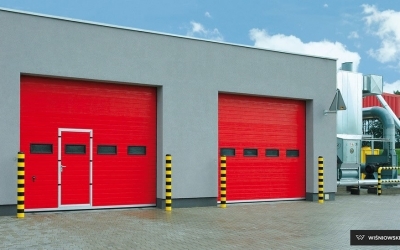 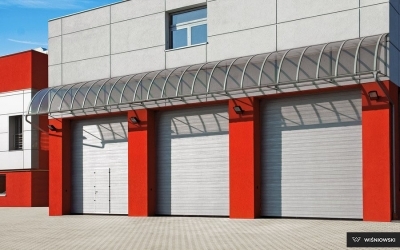 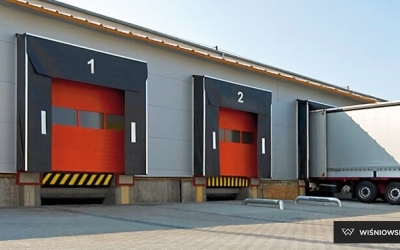 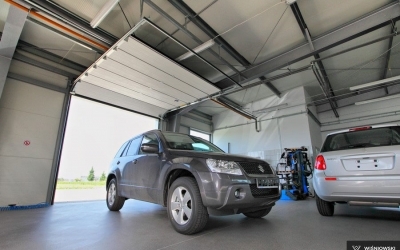 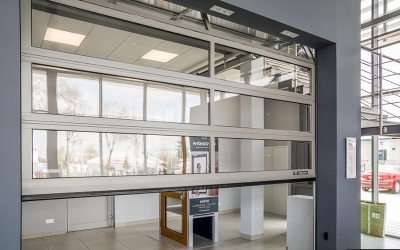 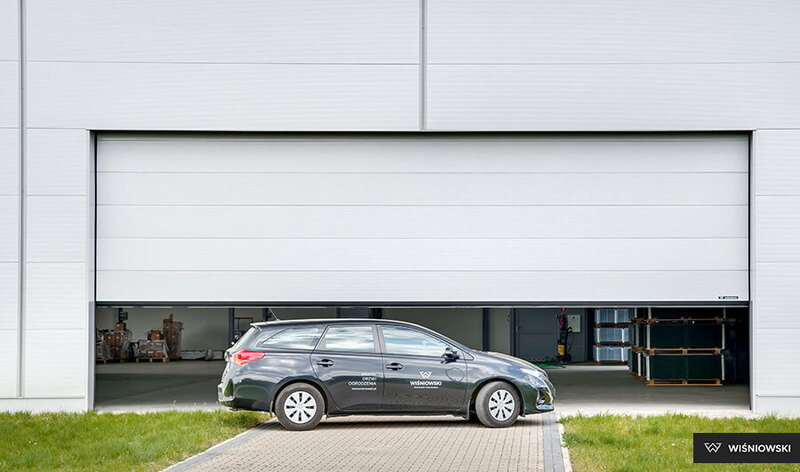 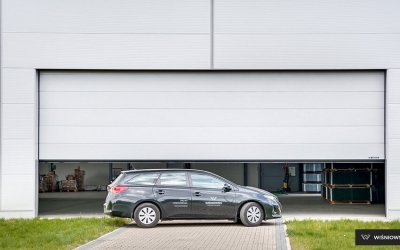 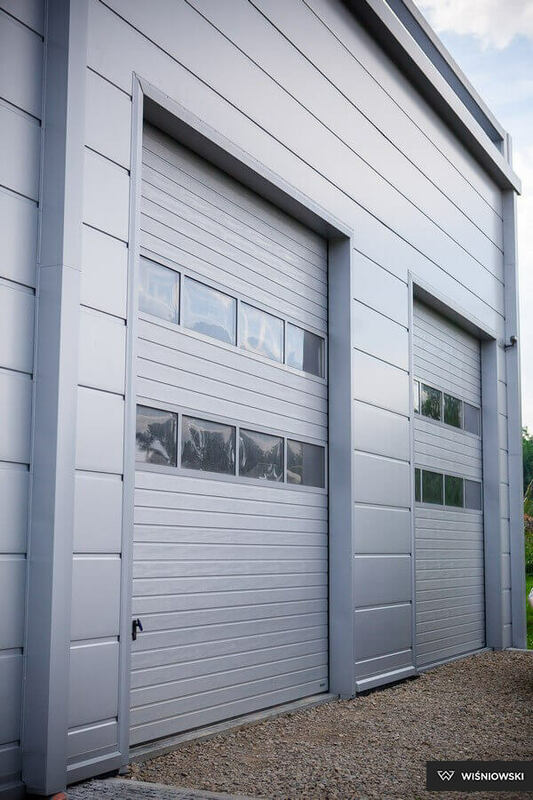 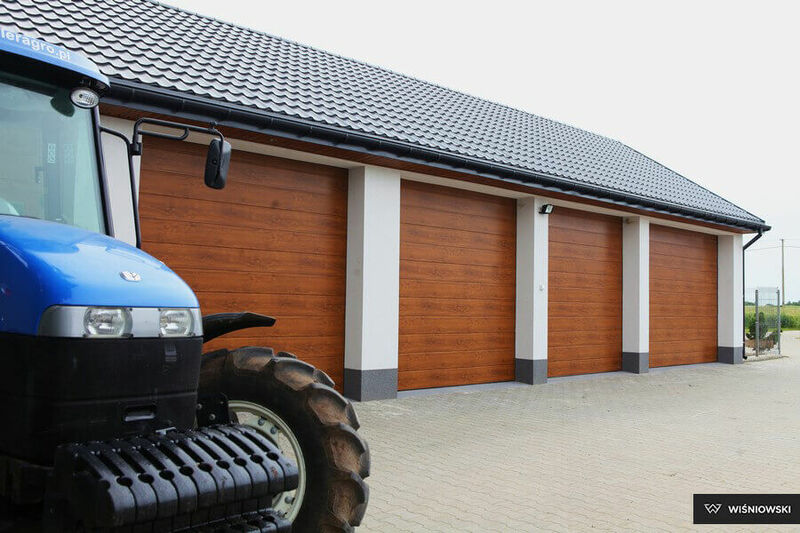 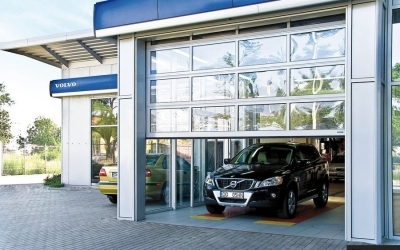 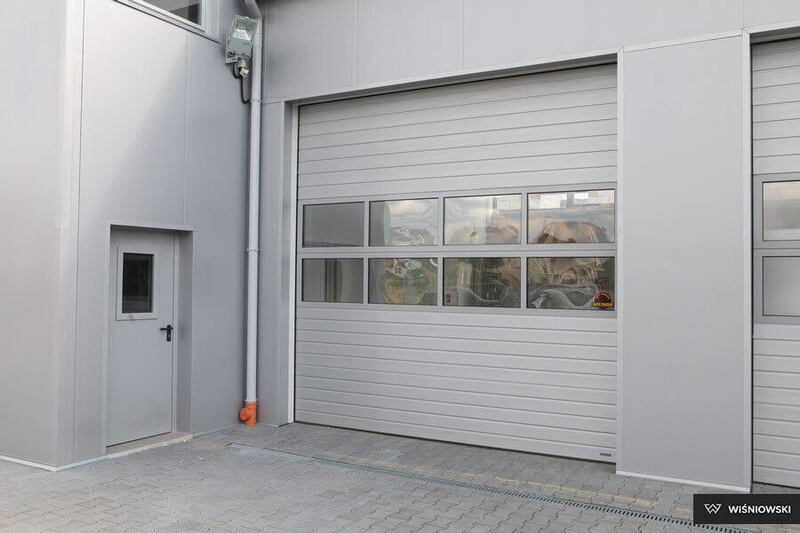 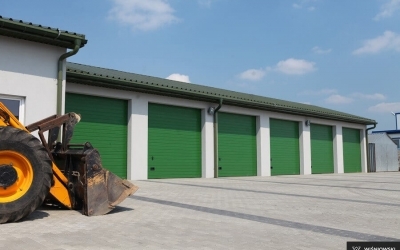 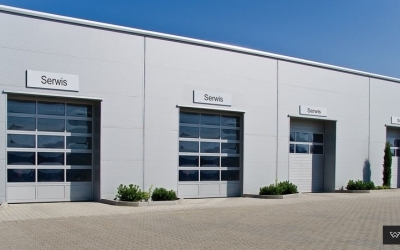 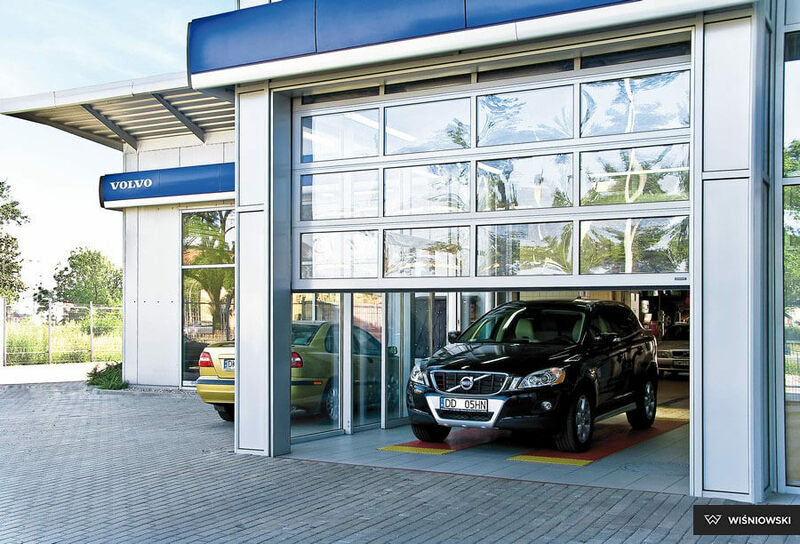 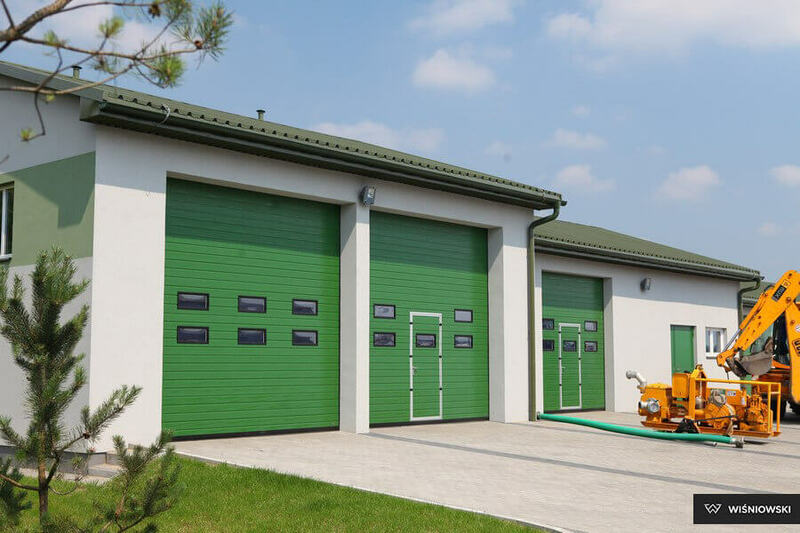 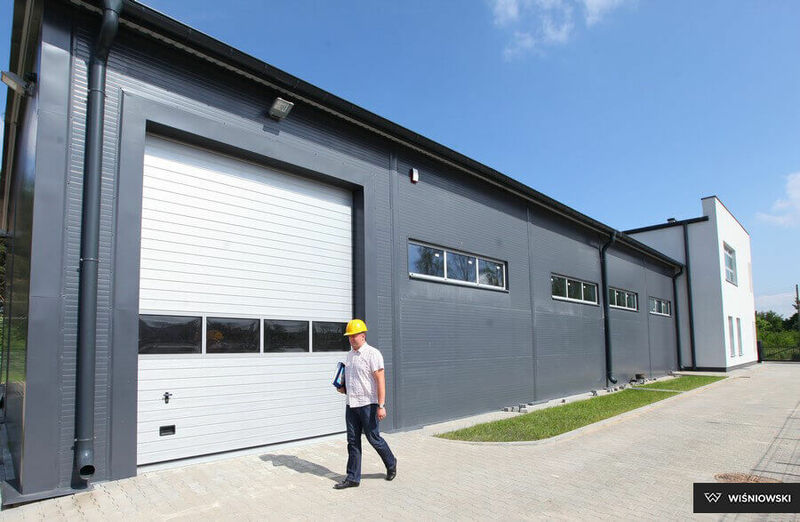 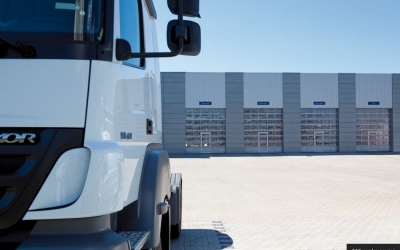 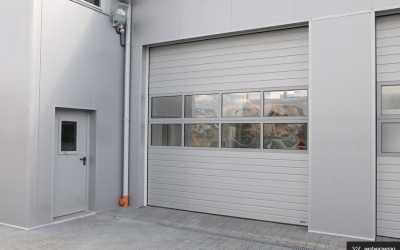 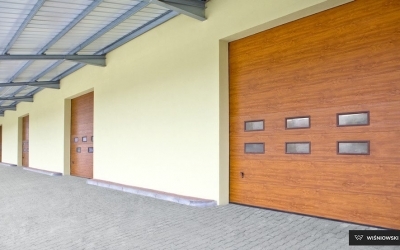 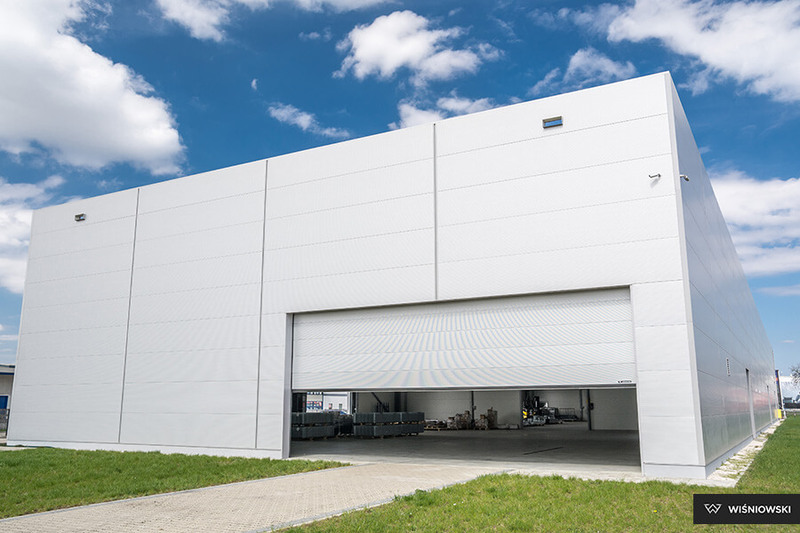 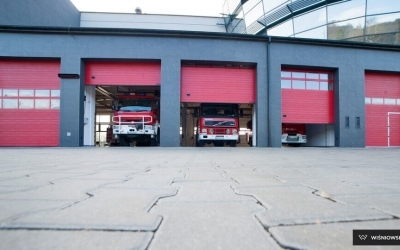 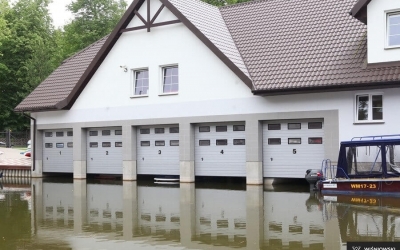 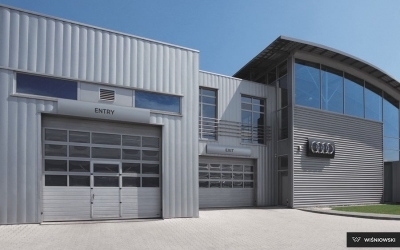 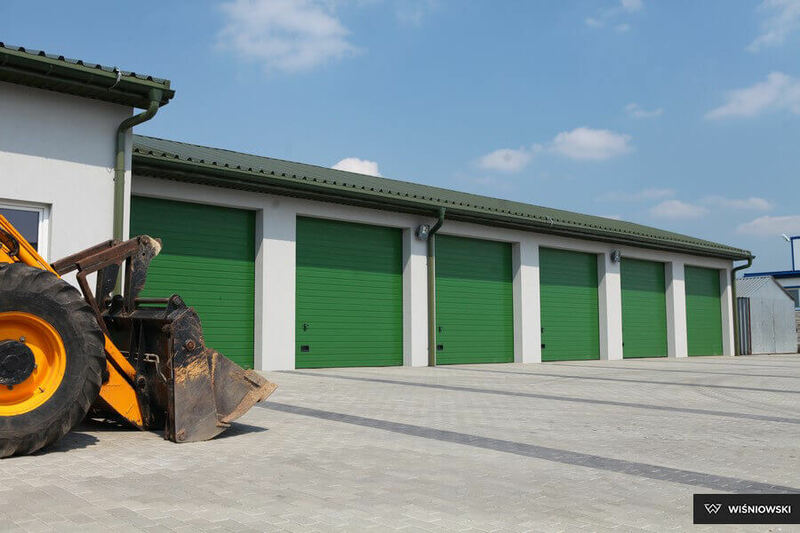 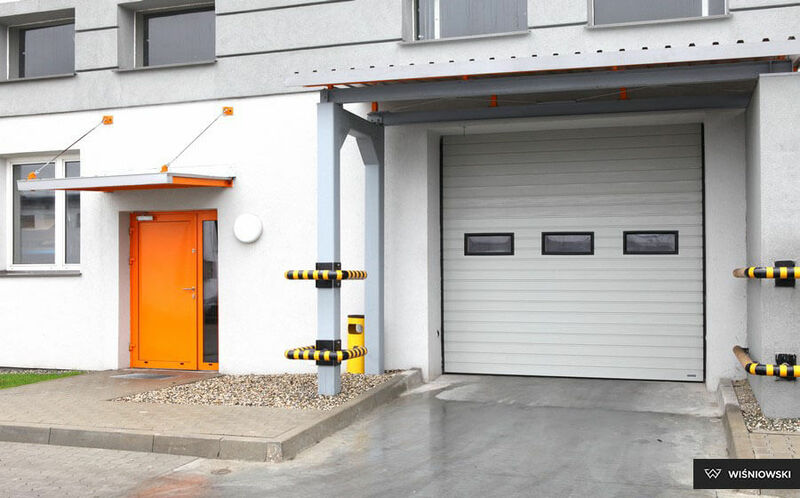 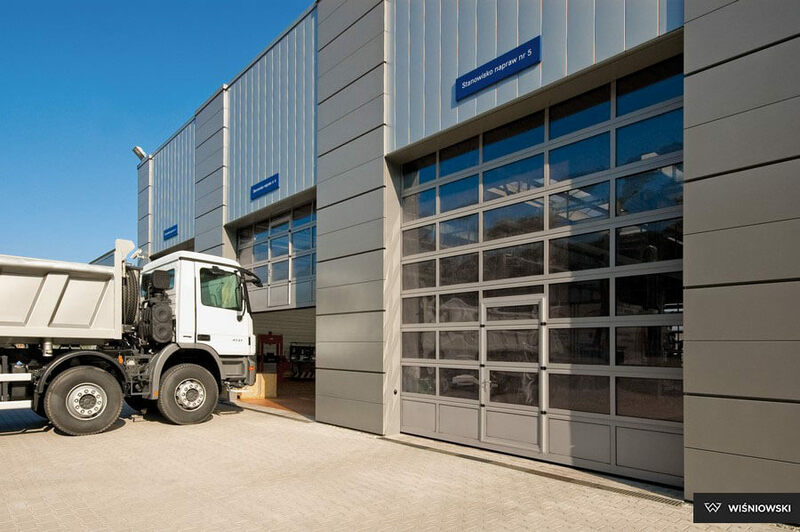 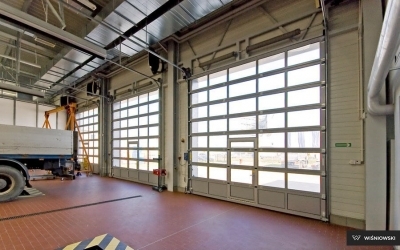 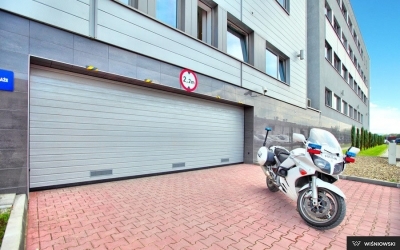 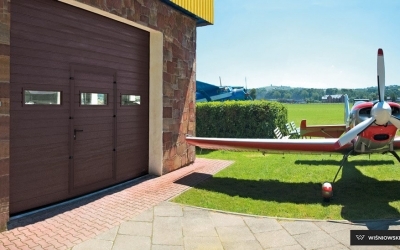 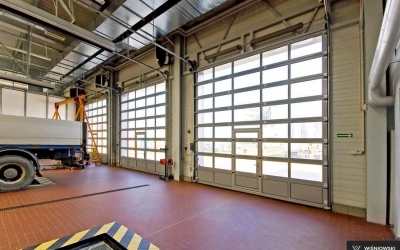 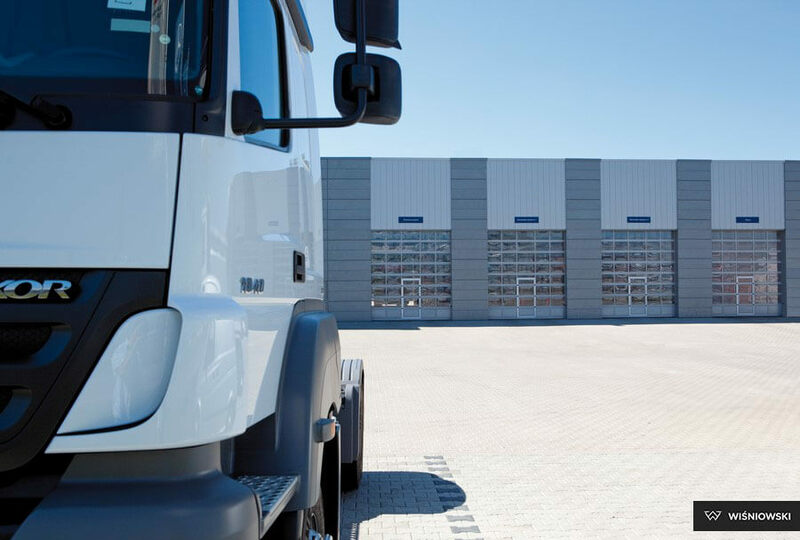 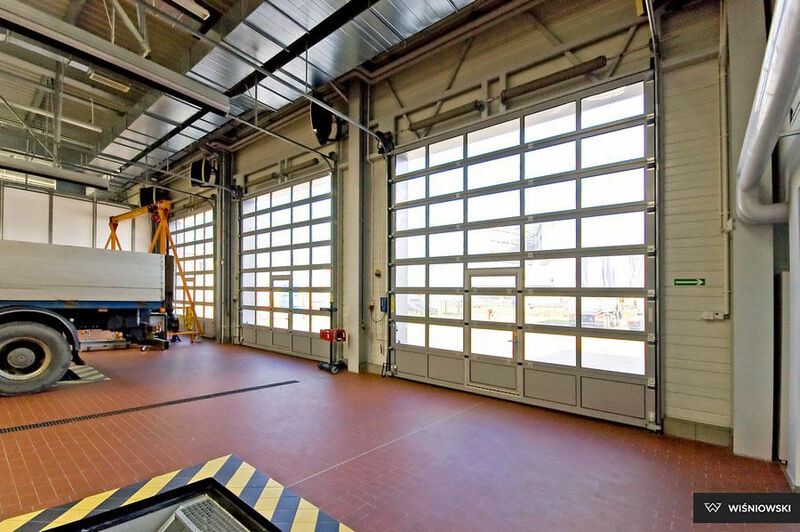 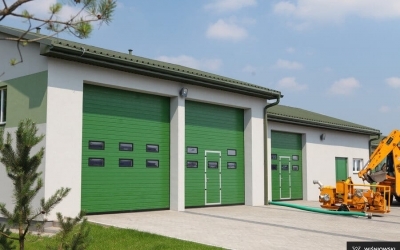 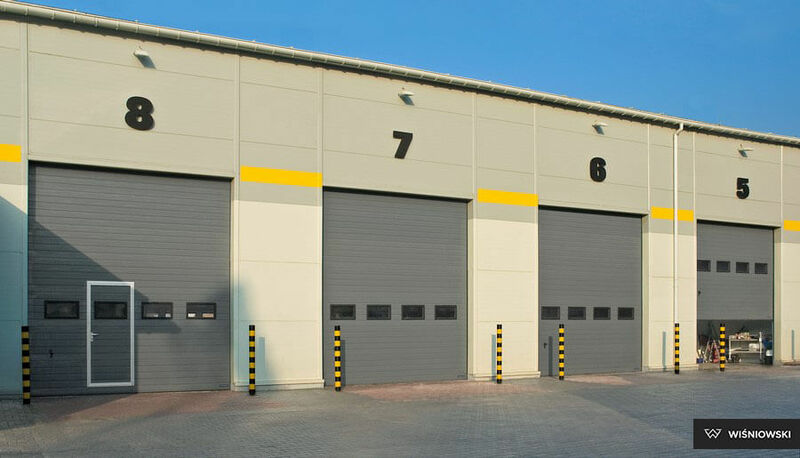 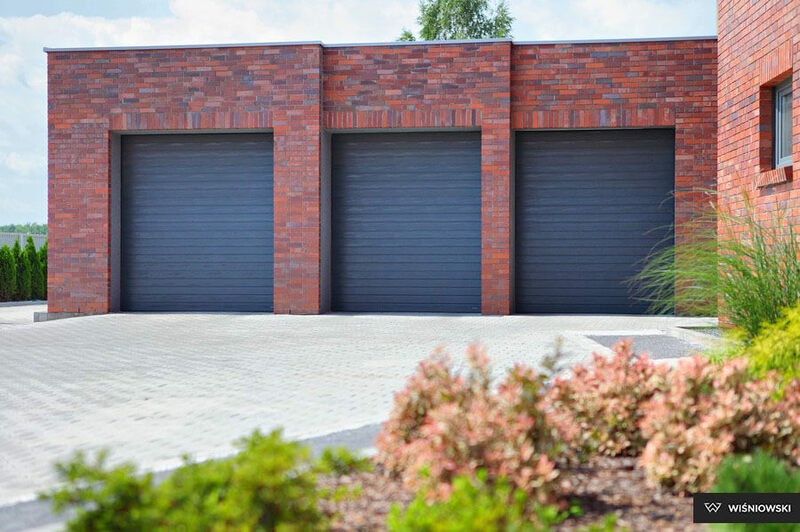 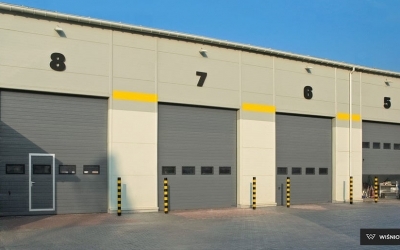 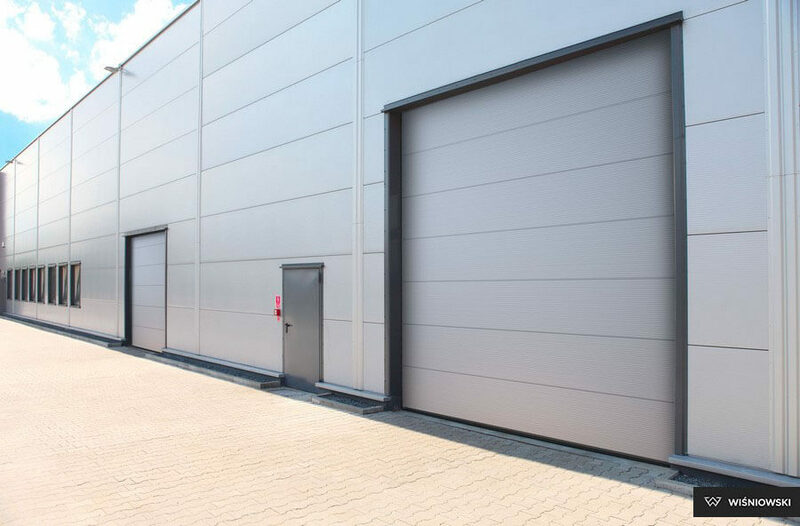 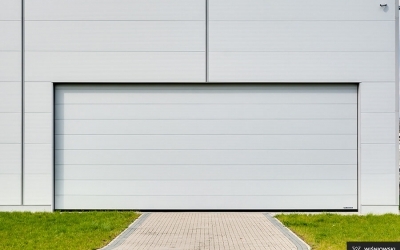 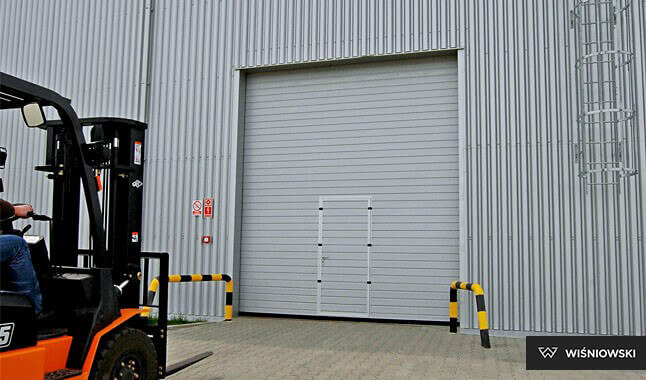 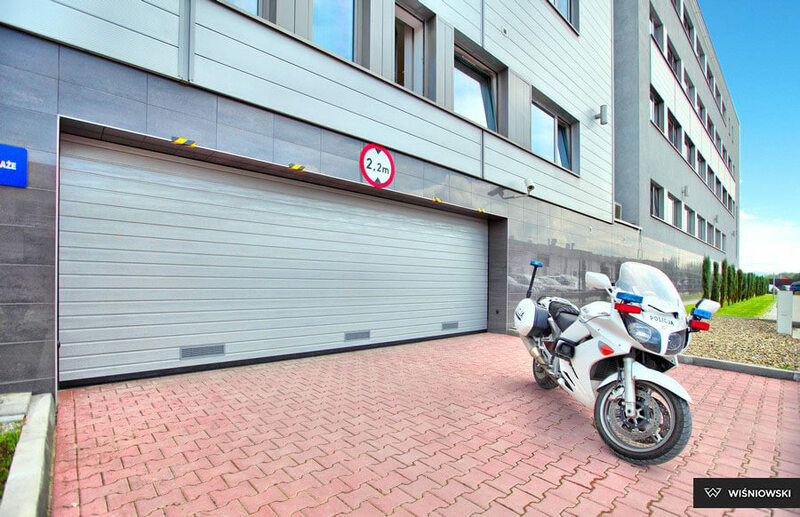 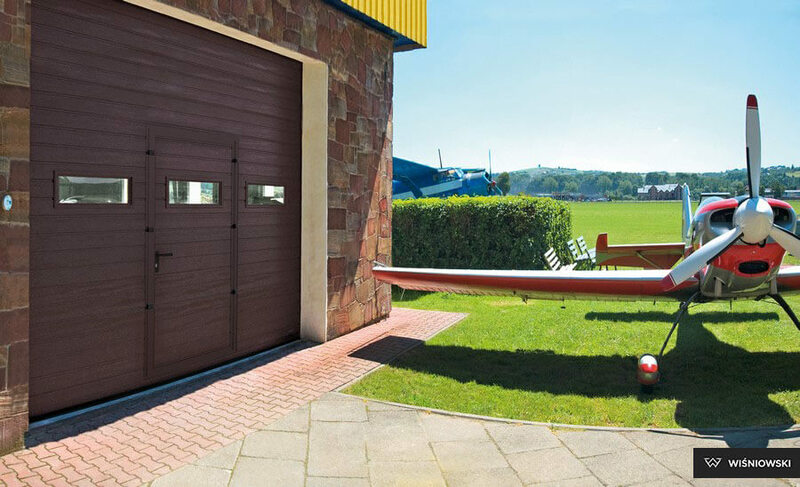 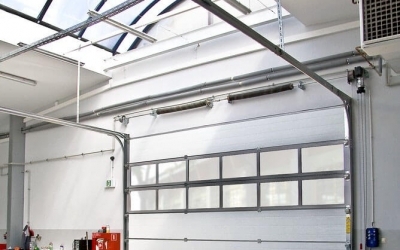 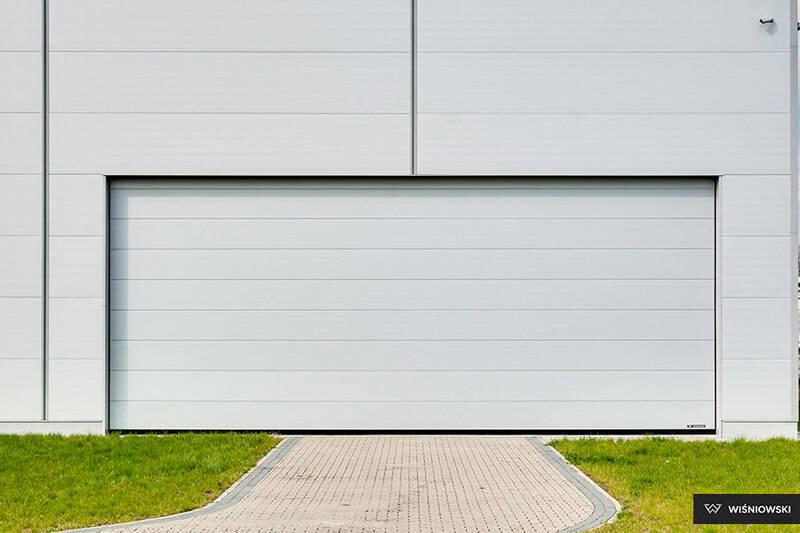 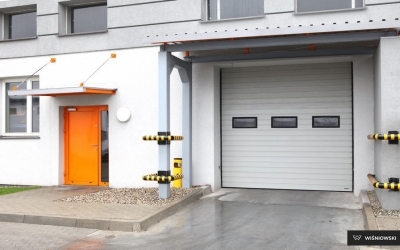 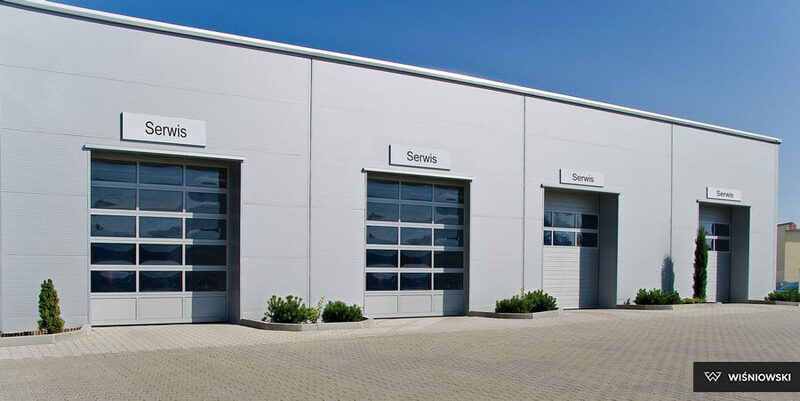 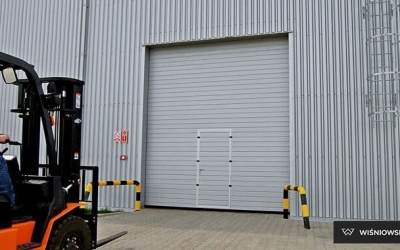 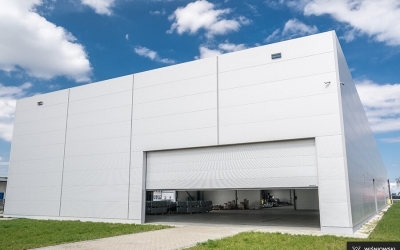 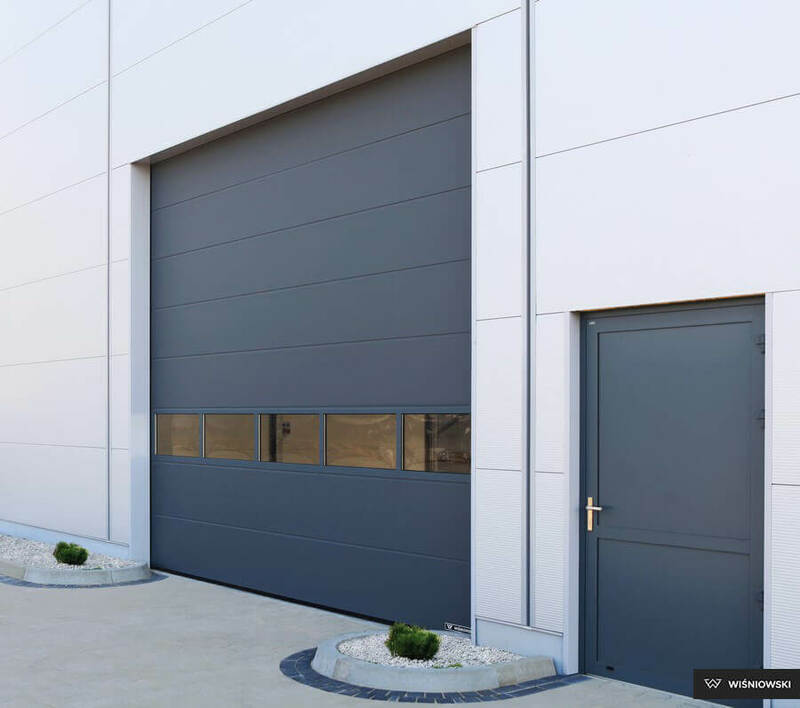 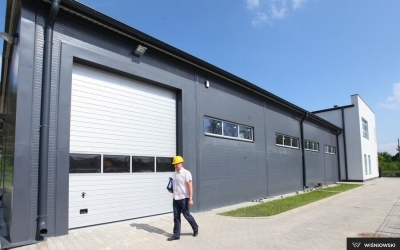 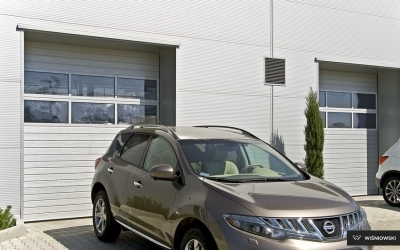 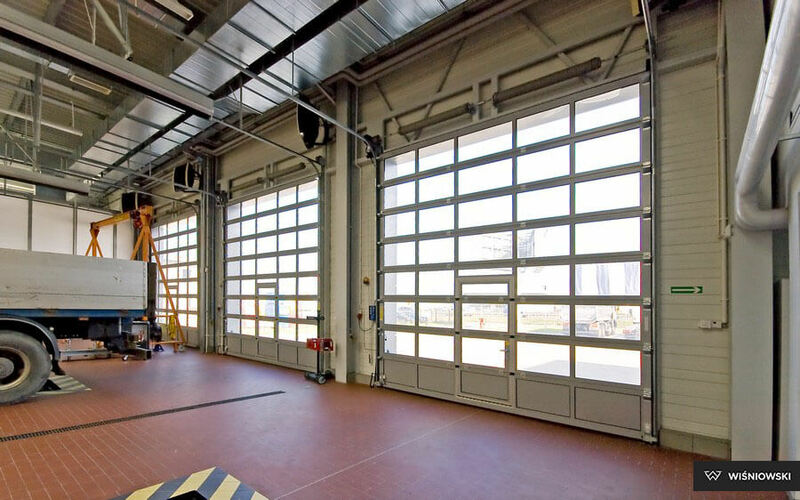 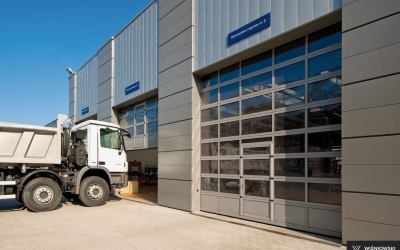 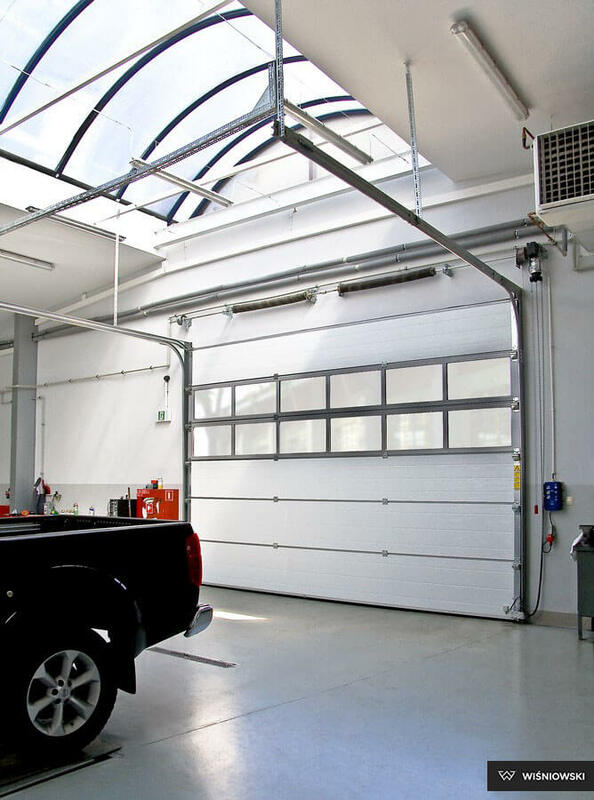 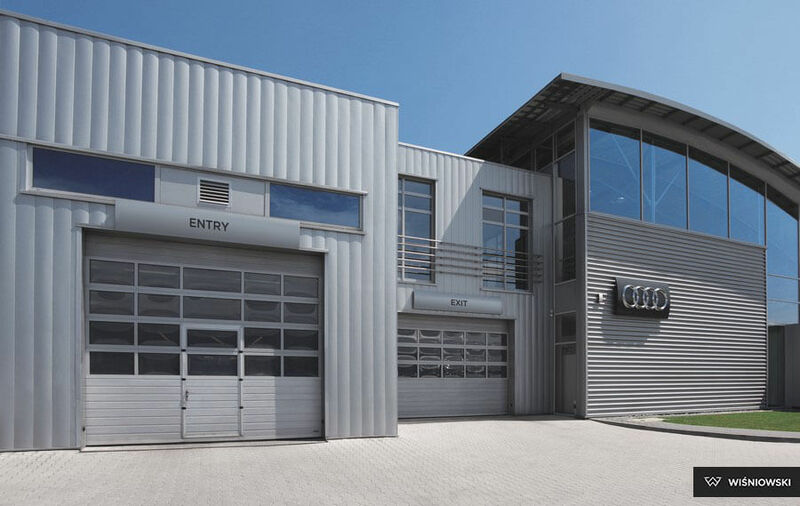 Opening of industrial sectional doors does not require free space in front of the hall. 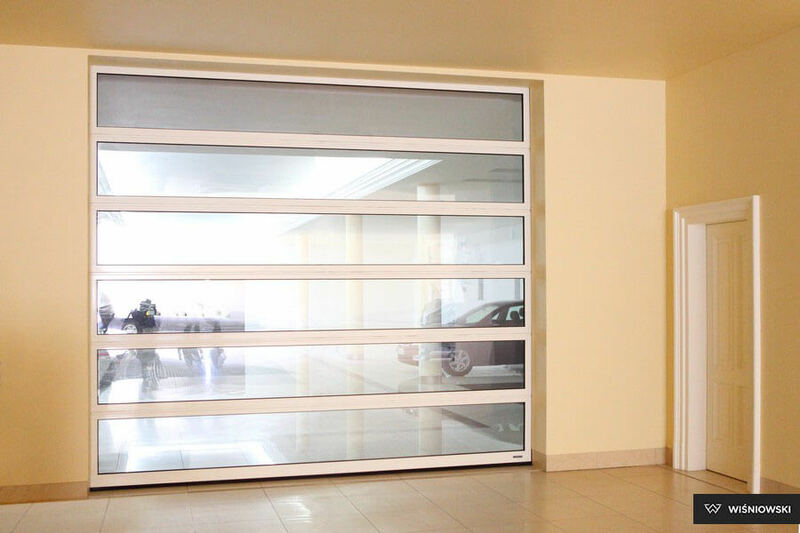 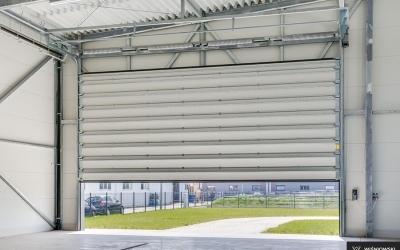 The sectional door curtain rises vertically upwards according to the type of the track system applied. 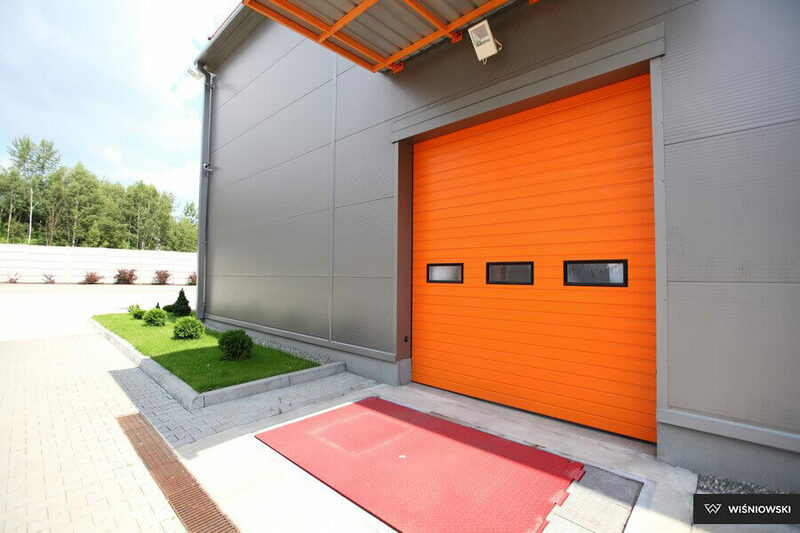 This enables maximum use of space in the facility as well as in front of the door. 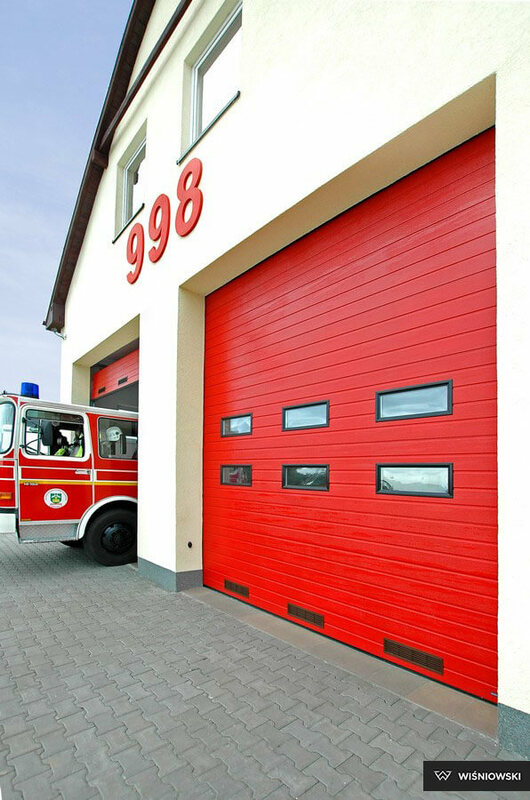 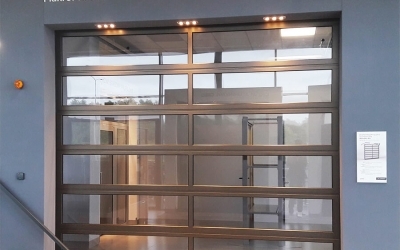 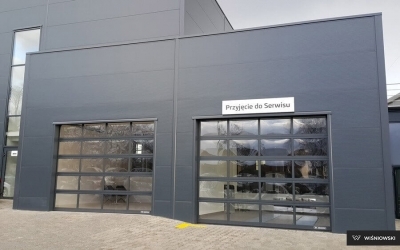 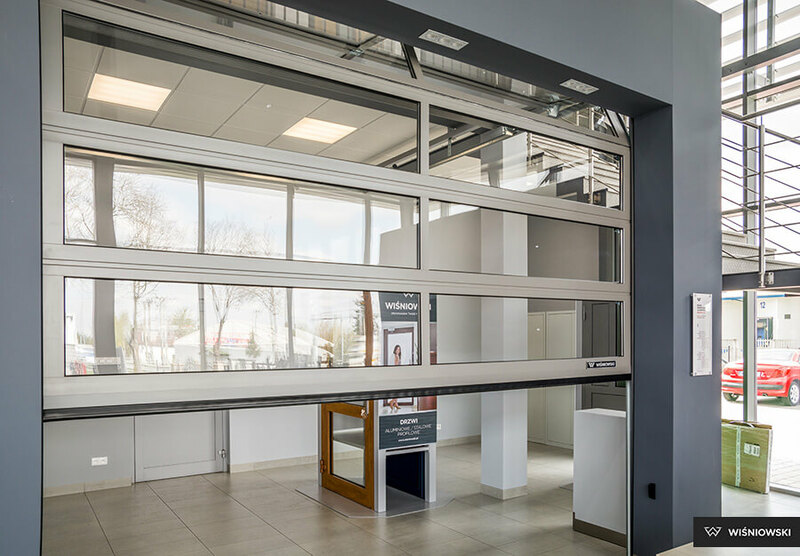 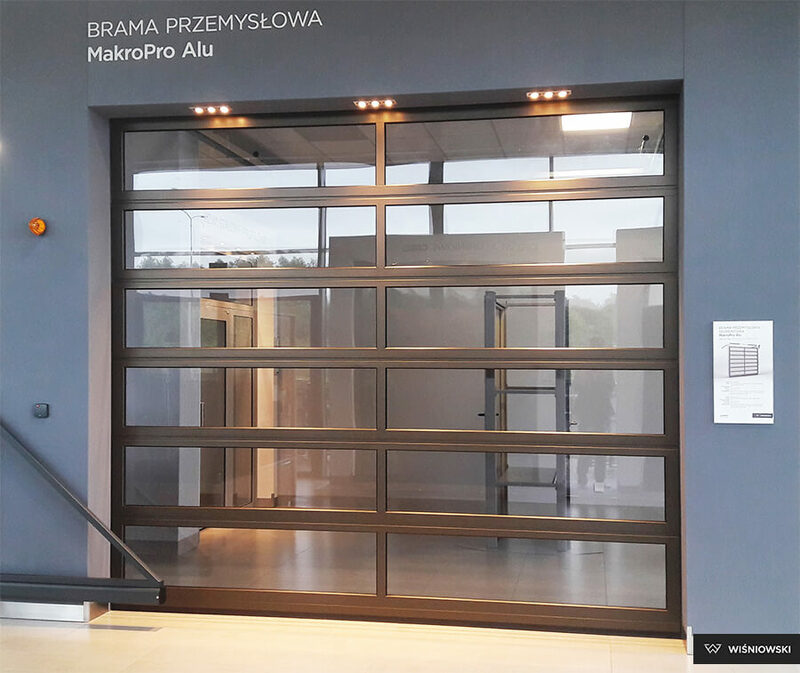 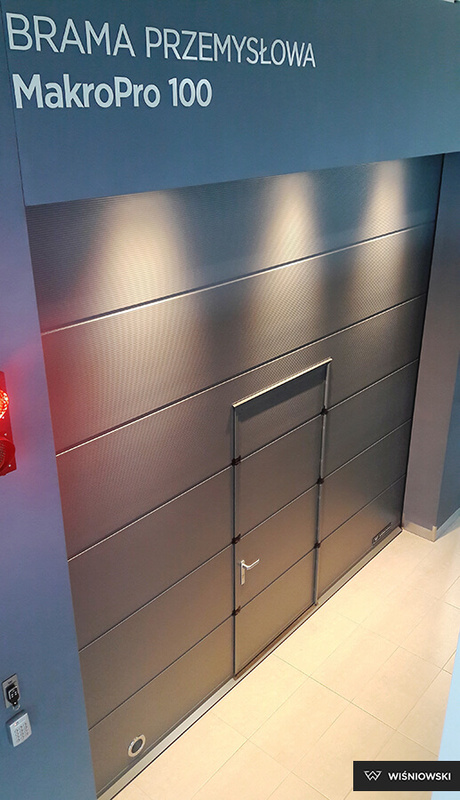 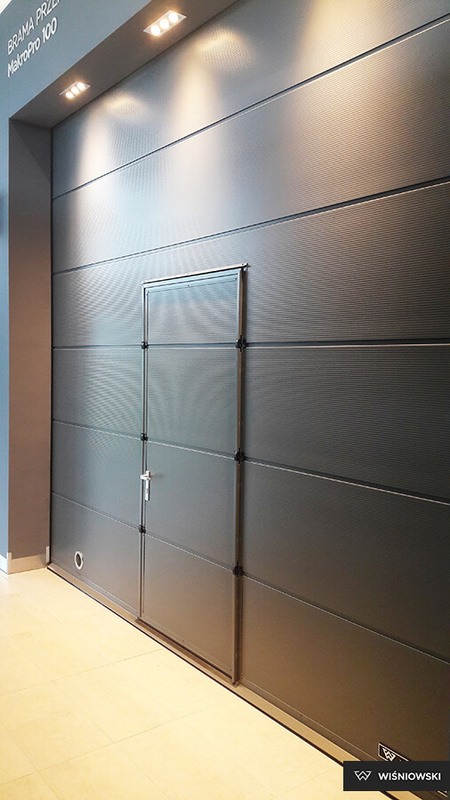 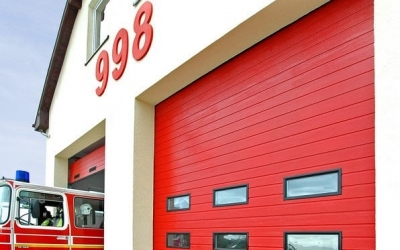 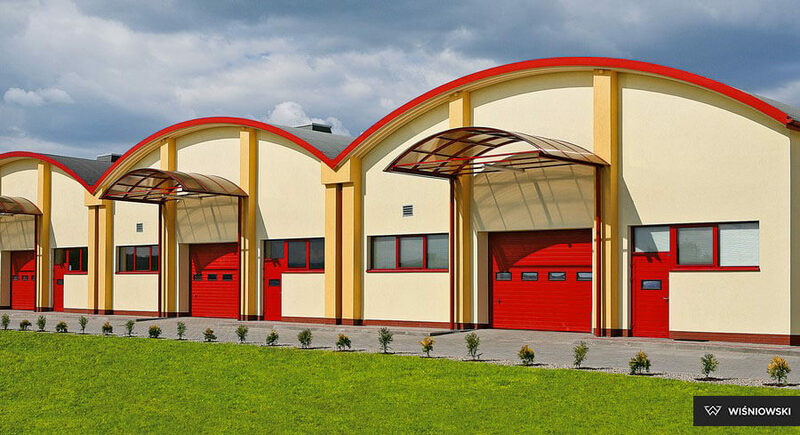 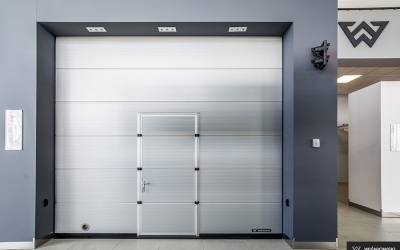 The structural elements of the door are made of galvanized steel (slides, fasteners) or galvanized steel sheet and coated with polyester paints (panels). 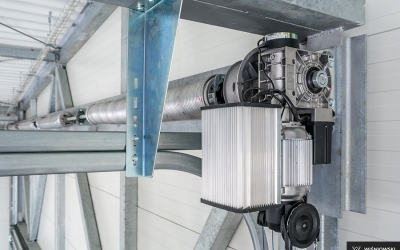 The leaf is made up of segments with a thickness of 40 [mm]. 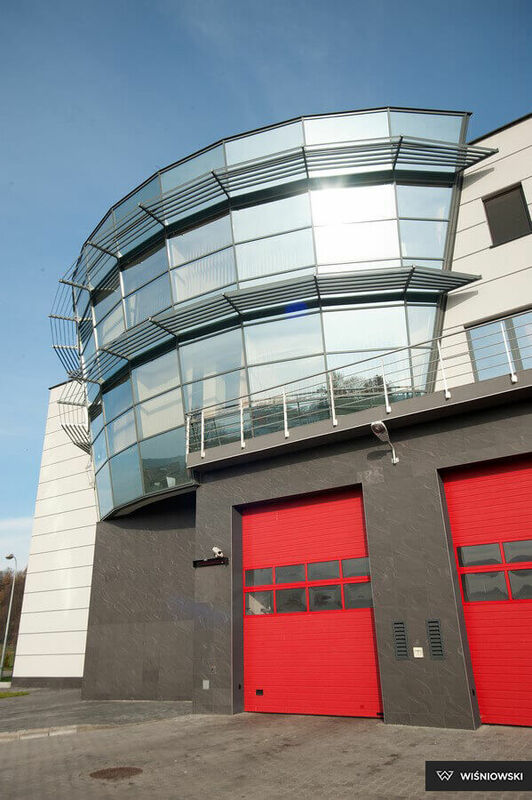 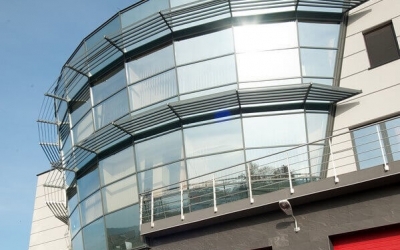 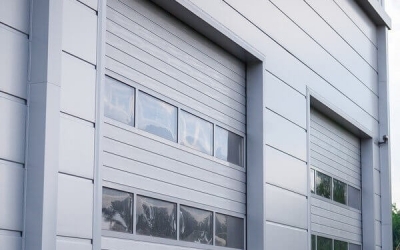 Long-term use is guaranteed by high quality panels available in several options: a full steel panel, a steel glazed panel, an aluminium glazed panel, VISUAL glazing aluminium panel. 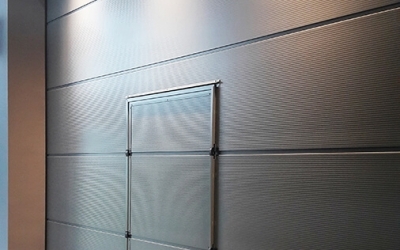 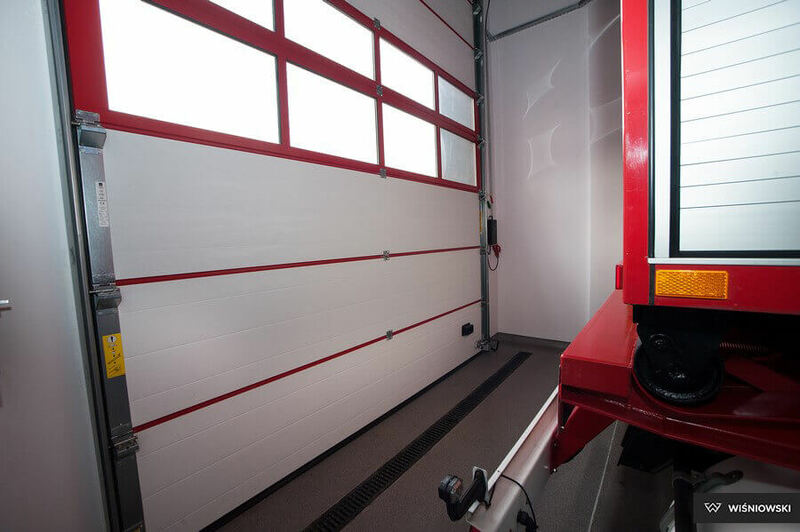 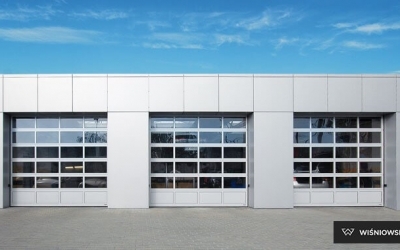 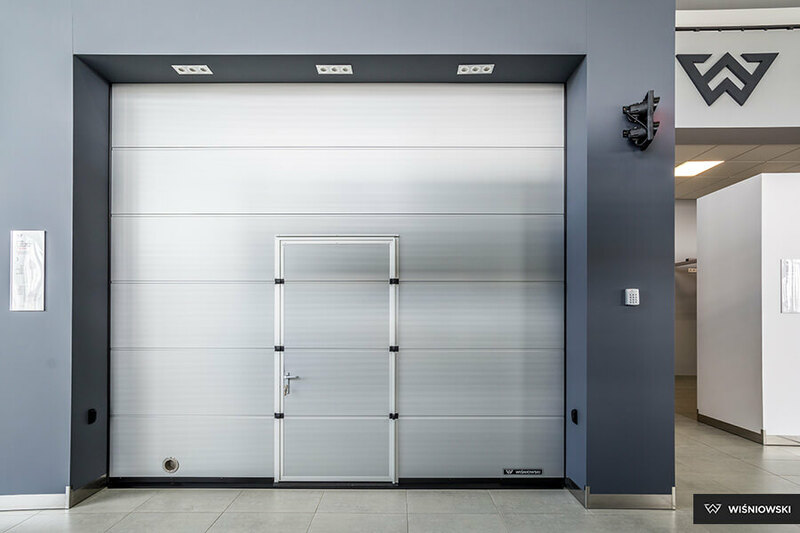 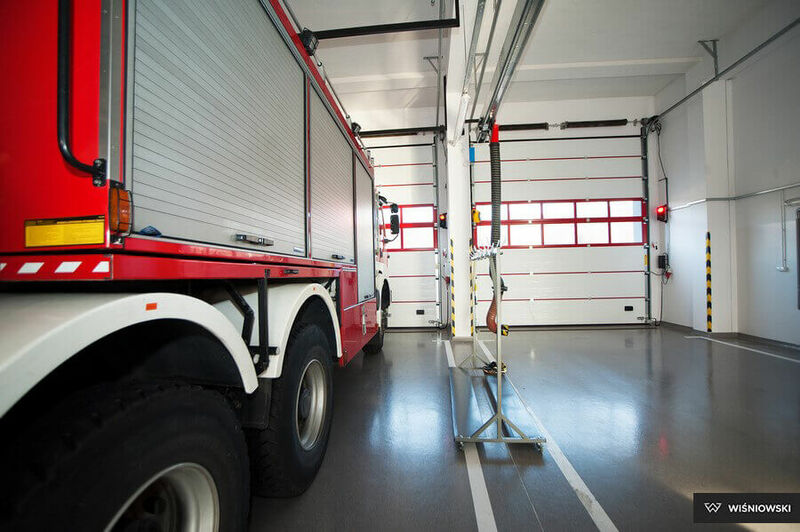 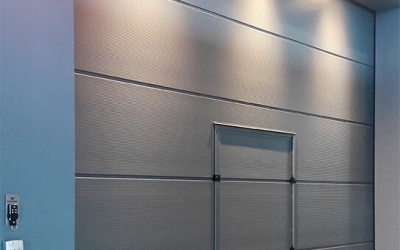 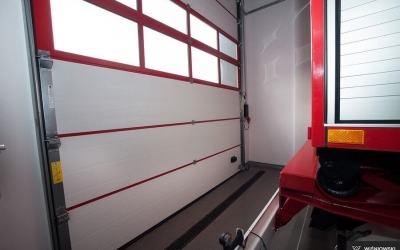 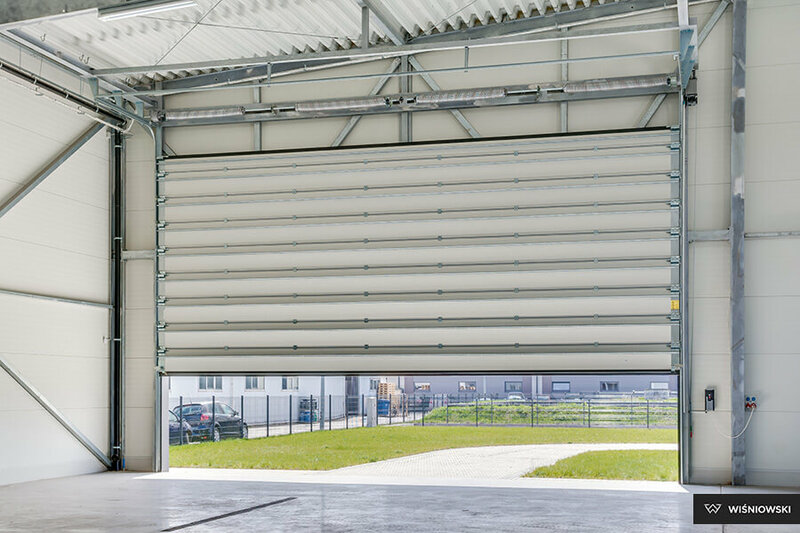 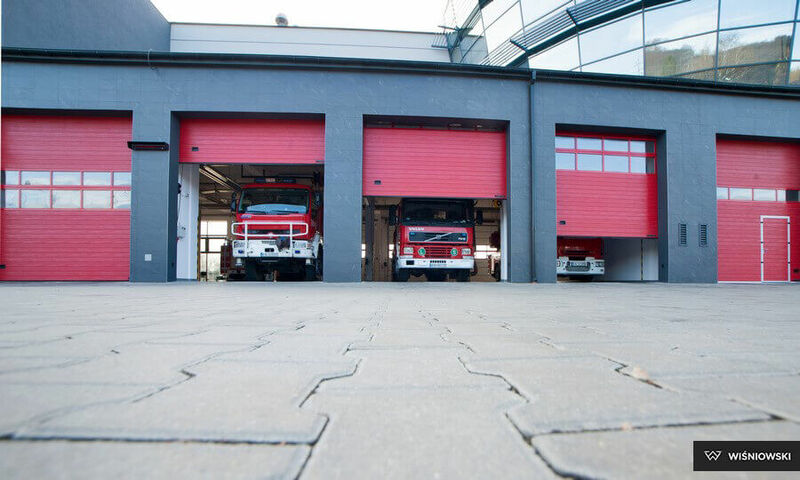 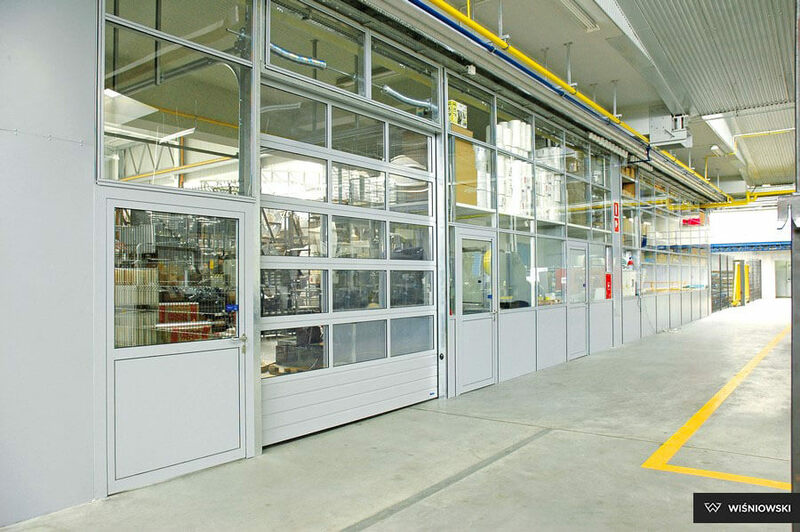 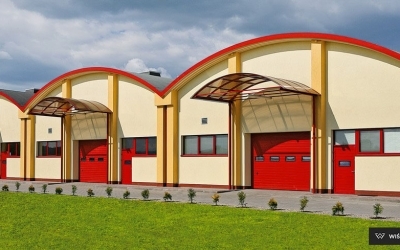 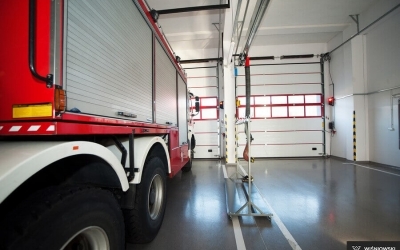 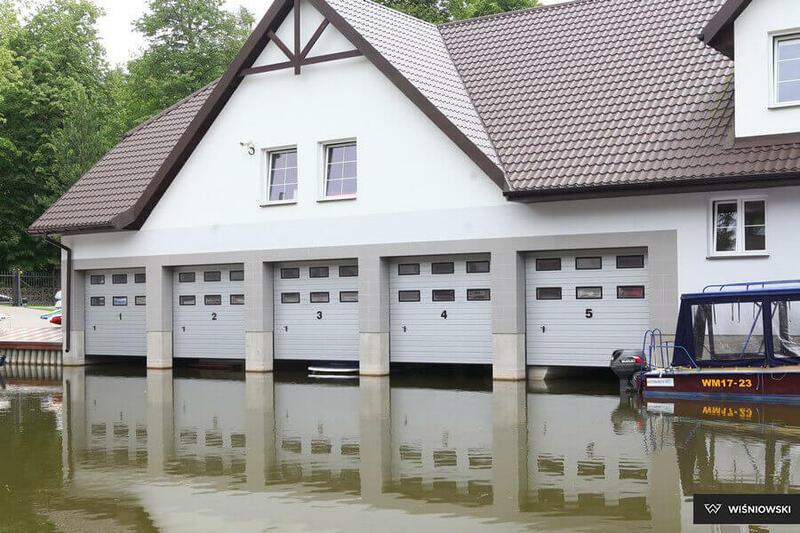 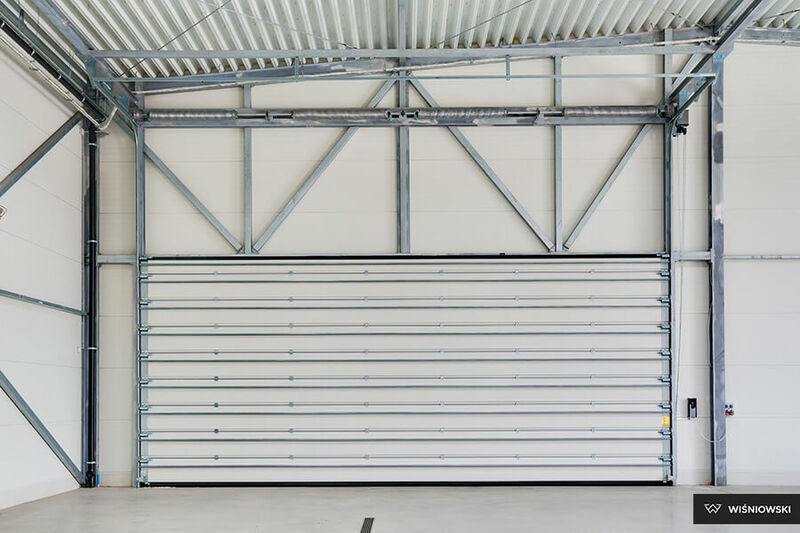 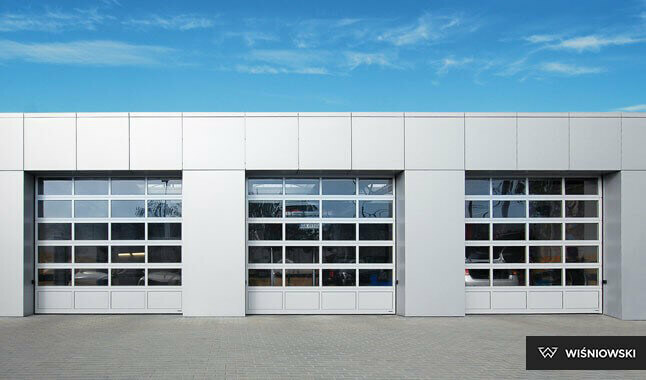 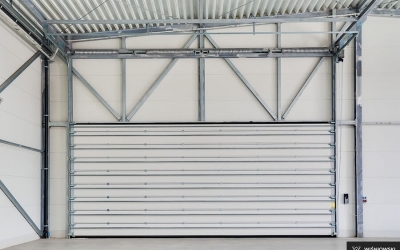 The manufacturing process of a sectional door panel features a unique system of multi-layered sheet metal bending, which ensures stable mounting of hinges. 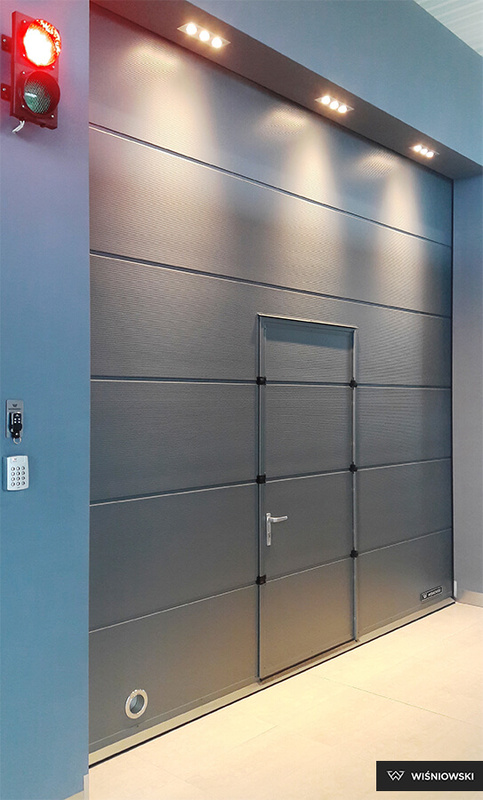 A wicket door installed in the door curtain appears as practical solution in doors used frequently. 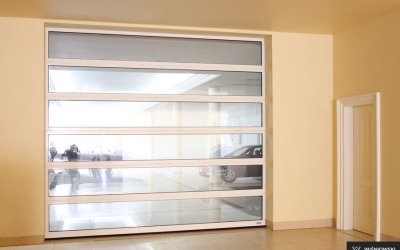 The wicket opening sensor ensures that the automatic opening of the door is possible only with the wicket door closed. 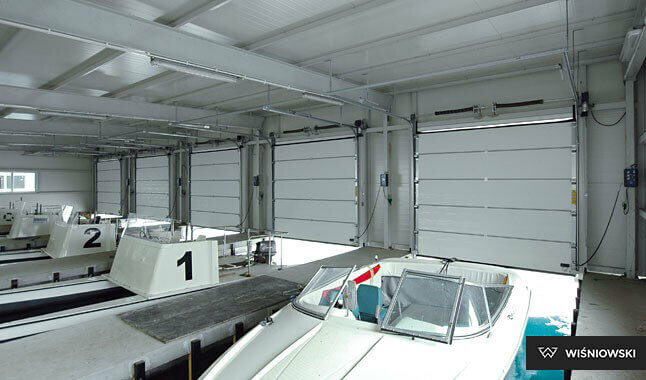 Wicket doors can be fitted with door closers. 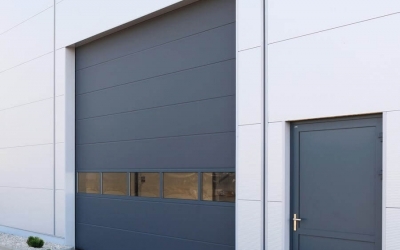 Depending on the space availability, it is possible to order a side door matching the design and colour of the sectional door. 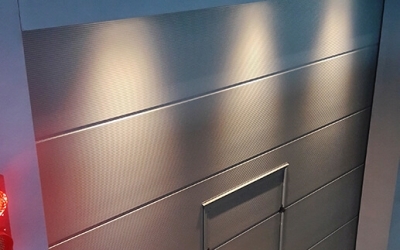 COLOUR RANGE - We offer the largest colour palette on the market! 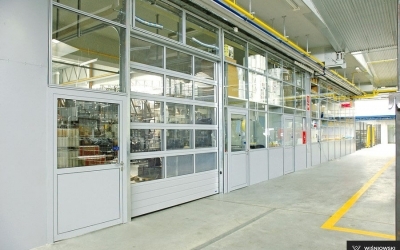 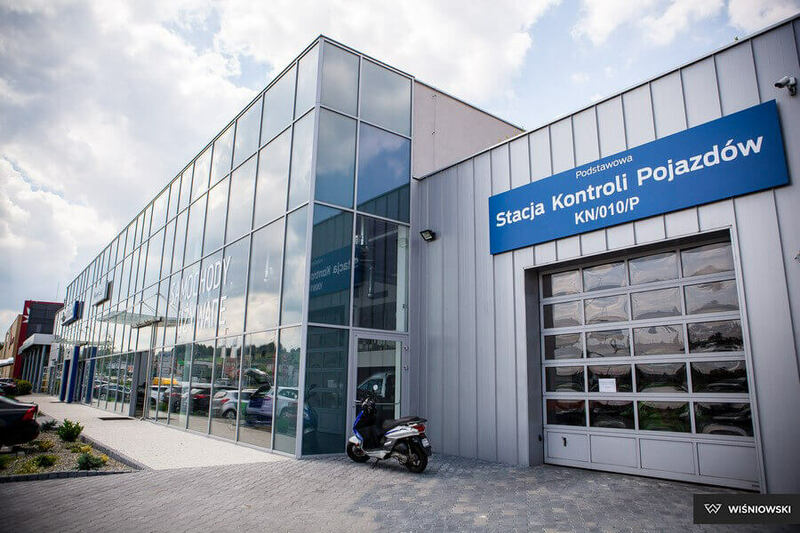 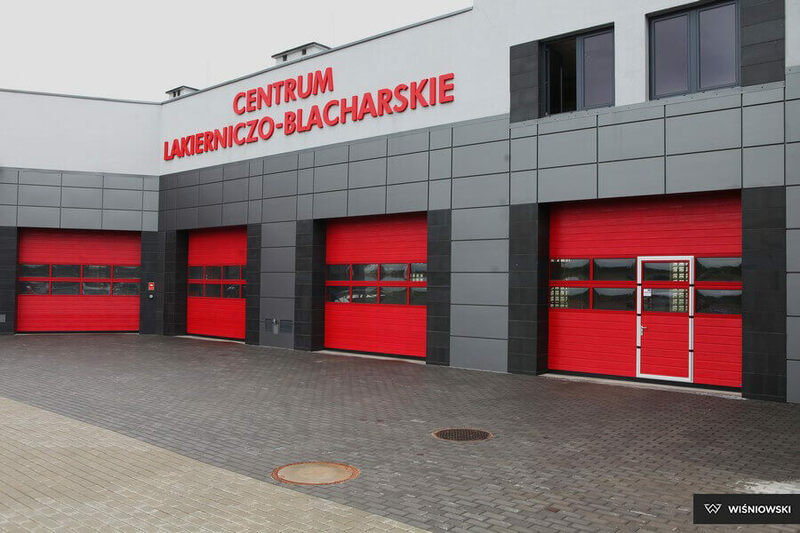 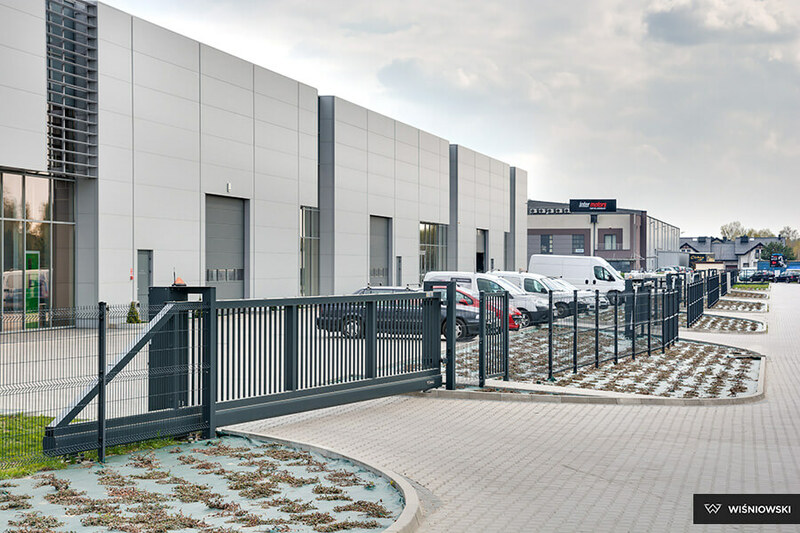 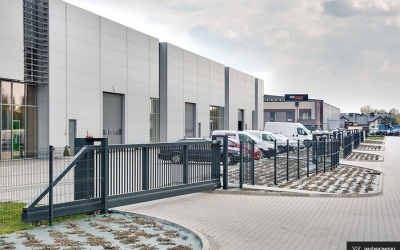 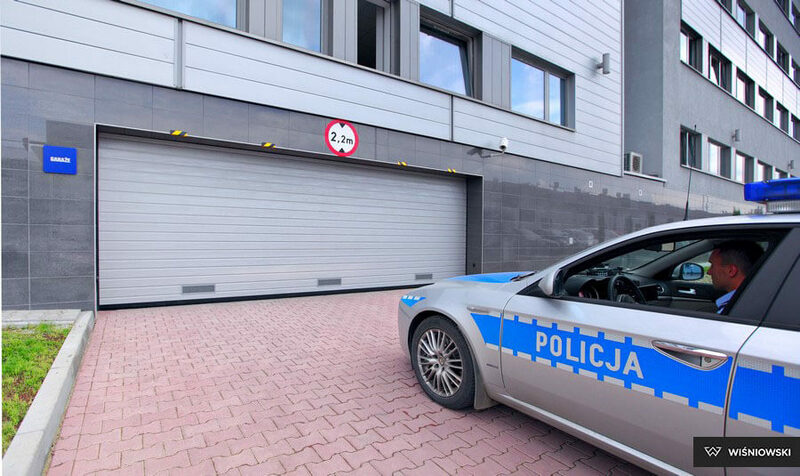 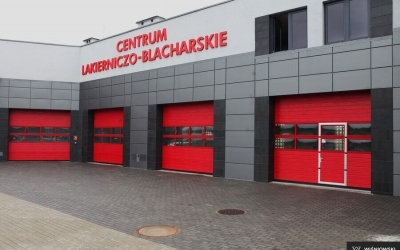 Automatic operating units fitted in WIŚNIOWSKI industrial gates are configured for continuous reliable operation. 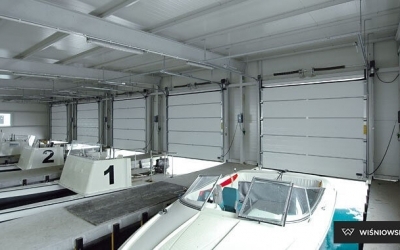 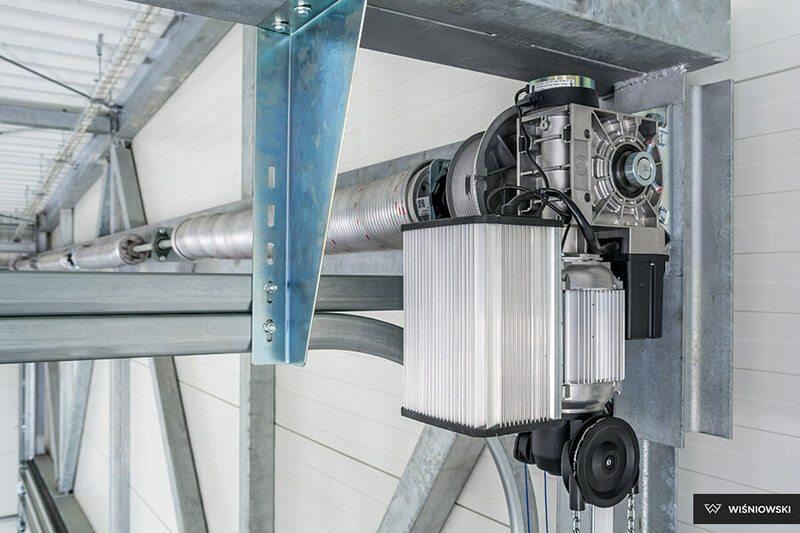 We use proven GfA drive and control units that ensure the highest comfort of use and many years of operation.